After wrapping up another wonderful holiday season – well sort of, we still have New Year’s Eve to look forward to – it’s time to hit the hay. I don’t know about you, but I sure do enjoy sitting by the balcony window, taking in the warm sunset scenery, and leaping into a great novel… Personal time always recharges my drained batteries. Since it is the holidays, my house (and your’s as well) is probably always filled with friends and family shuffling through the hallways and bouncing around the living room. It can be a war zone. Personal space and alone time are two things the holidays fail to provide. If you are looking for a place to call your own during this end-of-the-year extravaganza, good luck. Luckily, window seats are the next best bet. You are in for a treat! 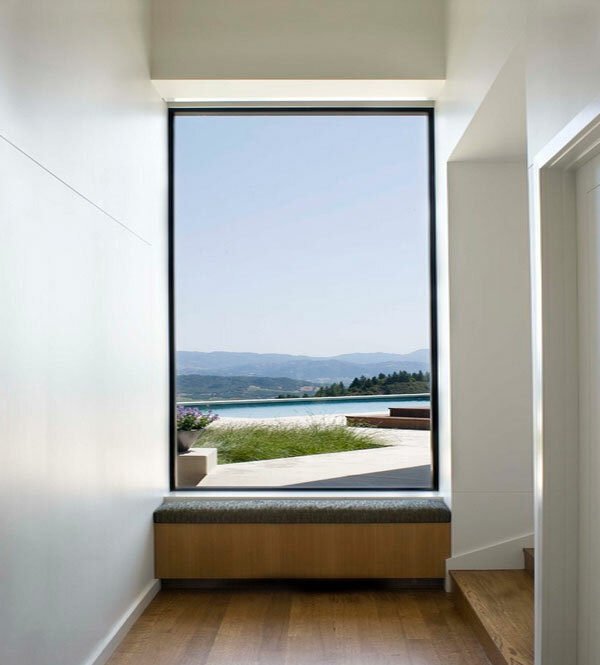 I like to think of window seats as the inner caves of our home, hidden from the craziness of a busy household, but comfortable enough to make you never want to leave. Under the overarching structure, you can lean up against the window and be a part of your own Alice in Wonderland adventure. Oh Where, Oh Where Should I Put One? 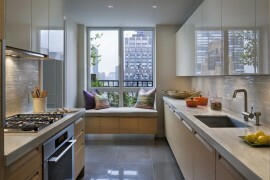 One of my all-time favorite decor ideas: window seats that offer a beautiful view of the surrounding foliage. It’s hard to describe these cushioned areas, but I think the word “intimate” is the perfect umbrella term. 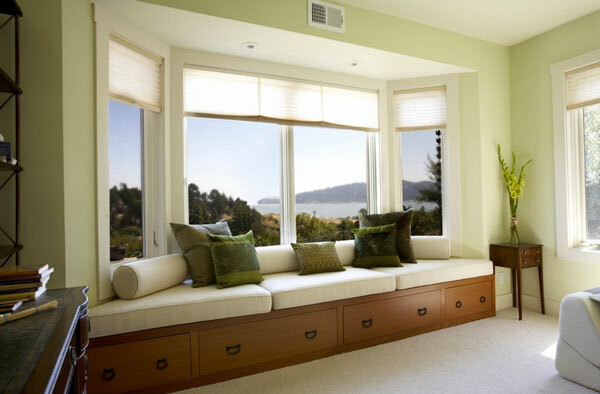 If you are one of those people who is debating between a window seat or another pull-out couch, here are some home decor ideas that will steer you in the right direction. Hallways are great places to introduce a little rest spot. 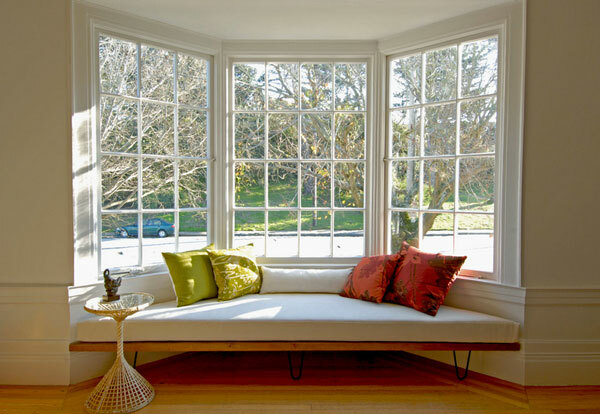 Window seats can contribute to the communal energy of the home. Because more than likely, you will bump into another member of the house when you are enjoying your time near the window. Even though their bedroom might be adjacent to yours, it’s better to bump elbows than to knock on a door – conversations are bubblier this way. 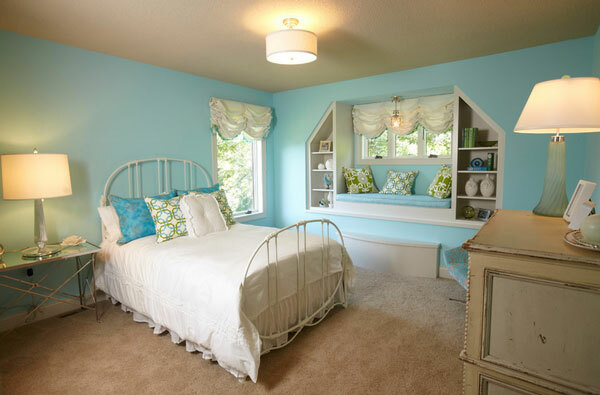 If you haven’t guessed by now, window seats, with their bold colors and bookshelf cubbies, are made to complement the bedroom. From the inside of your chambers, you get to step back and observe the world from a different perspective. People say our eyes are the windows to our soul. Whether you believe it or not, you have to admit the saying is very poetic. Using the same analog, I’d like to say windows are the eyes to the world. 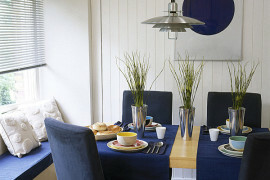 When you arrange a dinner party or a simple get-together, you can’t ignore the need of extra chairs and sitting areas. 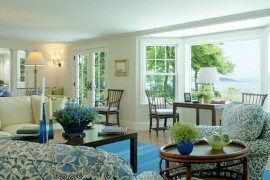 Taking the dining room chairs and the few sofas in the living room into consideration, you can only entertain a small handful of guests comfortably. 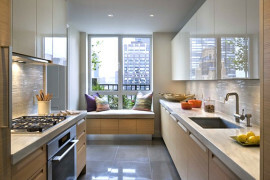 But with window seats, you can double the number of dinner party guests! And that’s not even the best part – window seats do no require you to find extra storage space to store fold-up chairs when they are not in use. 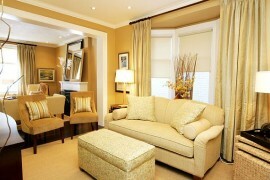 Look how effortless the interior decor comes together with window seats in the pictured homes below. Wouldn’t you want to show off your home? Kids and Their Story Time! Nothing says story time like window seats. These cozy furnishings present the perfect environment for an enriching moment of literary exploration. Not to mention, kids love climbing on top of furniture! Embed window seats into the decor of the home study, children’s room or playroom to ignite an enduring love for books among your little ones.